Budapest residents are souring over the idea of hosting the 2024 Olympic and Paralympic Games according to a new poll – the first since the start of a referendum signature collection campaign that was launched across the city last month. According to a Medián poll commissioned by website hvg.hu, a majority say they they would like Hungary’s Olympic bid withdrawn, and even more support a public vote to determine the issue. Of residents contacted by telephone on January 28 and 29, 68 per cent do not support hosting the Games due to potential costs and only 26 per cent said that it was worth organizing the Games at any cost. 59 per cent want the bid for the Games withdrawn, 60 per cent support a referendum and 32 per cent say a referendum is not necessary. 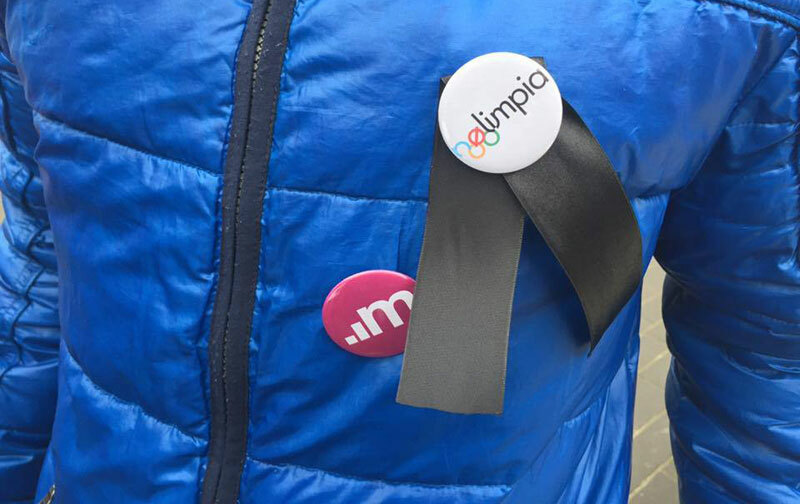 The Momentum Mozgalom political youth group has organized a NOlimpia campaign to force a referendum over Budapest’s Olympic project, and after getting a question approved by the elections committee they need to collect 138,000 signatures over 30 days. Two weeks into the drive, the group is more than halfway to its goal. If the group can hit its target, it will automatically trigger a referendum. No date has been set. Of those surveyed, nine per cent have already signed in favor of the referendum while one-third plan to do so before the February 18 deadline. The new poll, however, is based on only 600 respondents and is subject to a wide margin of error. A poll commissioned in December by the Budapest 2024 bid committee and conducted by pollster Kód Kft revealed 63 per cent support for the Games from a sampling of 1,000 citizens. The reduced support is an indication of the strong anti-bid campaign being run by Momentum Mozgalom. The group previously consulted with opponents of the withdrawn Hamburg and Boston 2024 Olympic bids, including the No Boston Olympics organization who were instrumental in rallying opposition that pressured the city’s Mayor to reject the plan. Hamburg lost its referendum by a narrow margin in November 2015. Opponents claim the Games will be too costly and too risky, and that the general public needs to weigh in before any plans move forward. The referendum push is poorly timed for Budapest’s bid as the Olympic campaign reaches a critical milestone Friday. Final documents are due from all three candidates, including rivals Los Angeles and Paris, and the international promotion phase is set to begin. Prior to Friday, promotion could only be targeted domestically, but in the final phase of the campaign advertising and messages are permitted to be directed internationally in the hopes that they will reach the almost 100 voting International Olympic Committee (IOC) members and thousands of influential stakeholders. While LA and Paris are expected to kick off their international campaigns immediately and have already organized launch events, Budapest has decided to delay its launch by several days, presumably to focus on domestic support and move past the referendum risk. The IOC Evaluation Commission will visit Budapest beginning May 10 for site inspections and document reviews. The winning bid will be named at an IOC all-members session September 13 in Lima, Peru.